Home > Dog Health > Prevention > Frontline vs Advantage: Which Is Better To Keep Your Dog Flea Free? Fleas and ticks love to reside in pet’s fur (especially when it’s warm as they can’t live above freezing). Not only are these pesky parasites are a nuisance, they create health concerns too. Keep fleas and ticks from bothering your pup (and you) with a regular dose of medication. We’ve reviewed two of the most popular options on the market so you can compare and find which is a better fit your furry friend. (S)-methoprene kills flea eggs and larvae. The formula also guards against sarcoptic mange and lice, is waterproof and protects your pup for up to 30 days. Plus, Frontline never expires so long as you store it according to package instructions. Frontline Plus is safe for puppies over eight weeks. Pyriproxyfen is an insect growth regulator (IGR) that kills fleas in the immature stages of their life cycle by mimicking the juvenile growth hormone of fleas. Both ingredients work together to break the flea cycle. Advantage II is also waterproof and lasts up to 30 days. The product never expires so long as you store it to package specifications and is safe for puppies seven weeks and older. Remove pet’s collar to aid in application. Part hair until the skin is showing on the nape of your dog’s neck, between the shoulder blades. Apply product on the neck (unless your dog is large or extra large, in which case you will repeat the part fur-and-apply method four times along your dogs back, finishing at the top of the tail). Though both products are waterproof, do not wash your dog for 24 hours after application to ensure full coverage has been reached. Wash your hands thoroughly after applying and discarding of the product. Give your pet a treat for being so good during their treatment! 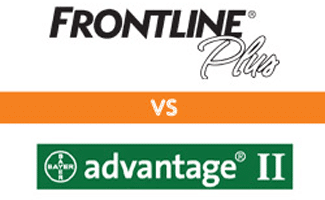 Frontline vs Advantage: Which Is Better? Frontline Plus is slightly cheaper than Advantage II and protects both against fleas (in their various stages) and ticks (whereas Advantage only treats fleas and is more expensive). Advantage II clearly states that it kills fleas within 12 hours on its packaging, while Frontline Plus does not, but their website claims it terminates them in 24 hours. What’s the verdict? While both products are similar in application and shelf life, Frontline Plus has the added value of killing both ticks and fleas. However, if you need more immediate results, you might be better off paying a little more for Advantage II. Keep in mind that a product that works for one dog may not work as well for another. 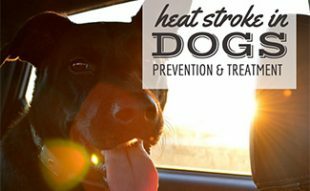 It is important to monitor your dog after application and also remember that these products work best as a preventative measure. 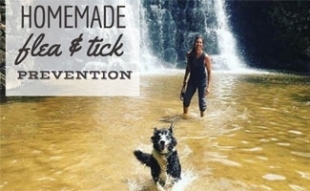 If you are interested in even more options, check out our in-depth flea and tick prevention reviews for some natural alternatives and other applications. If your dog already has fleas, you might also benefit from reading our article on Getting Rid of Fleas. Have you ever used either of these products? Which do you prefer and why? I made the mistake of switching from Frontline Plus Orange to Advantage 1 one time. Living in the Southern US I was immediately sorry as ticks became a serious issue. I checked with my Vet and as soon as was safe I applied Frontline Plus and my problem disappeared within 2 days. I’ll never switch again, Frontline Plus has my vote for effectiveness against fleas, ticks and to date no side effects after 20+ years and use on 3 dogs. I used Frontline until Bravecto became available her (South Africa). Frontline seemed to be 100% effective against fleas but did only work to a certain extent against ticks. Ticks would still attach and feed but were killed before being able to transfer the potentially lethal Biliary. I still had to search and remove attached ticks to prevent skin infections. Bravecto works on the tick’s CNS and causes the ticks to release and run thereby almost entirely eliminating the chance of skin infections. 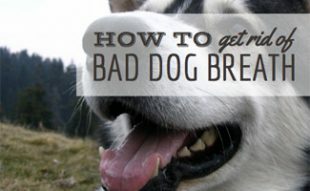 I tried Frontline Plus on my Husky and it did absolutely nothing. Applied exactly according to directions for 3 months in a row. Time to try Advantage. Frontline doesn’t work. Tried it with my cat and dog and didn’t work for either. Switched to Advantage and IT WORKS! Avoid Frontline, it smells very chemically bad and does nothing – the fleas are immune to it, just like mosquitos are getting immune to insect repellents and bacteria are getting immune to antibiotics. Advantage smells like marzipan (almonds) and stops my cat and dog itching within a day or two so I know it works so well! I have purchased advantage 11. And it did nothing for the fleas in fact I have spent hundreds of dollars on flea prevention on my pets and nothing works what happened to the original advantage I used it for years it worked great. I used Frontline all last year. It seems the fleas have become immune to the ingredients in the Frontline now. Making it not effective now. Same problem here. Advantage II works great!